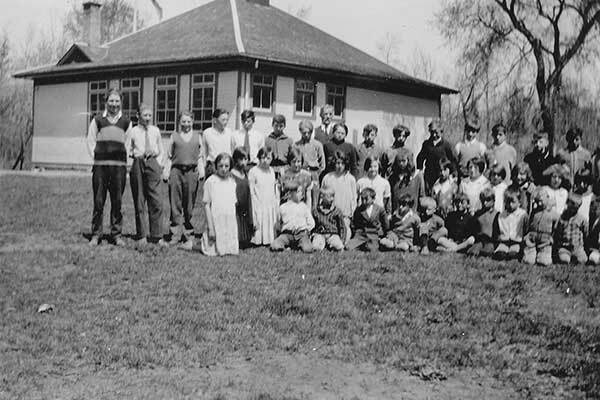 The Central St. Paul School District was organized formally in August 1910 and a two-classroom schoolhouse was located along Henderson Highway on Lots 93-94 in the Rural Municipality East St. Paul. It served the local district until the opening of the adjacent East St. Paul School, after which the building was demolished in 1951-1952. In April 1951, a vote on a proposed six-room school was approved overwhelmingly by East St. Paul Consolidated School District voters. The building was constructed at a cost of $75,000 by contractor J. R. Roziere on a four acre site. 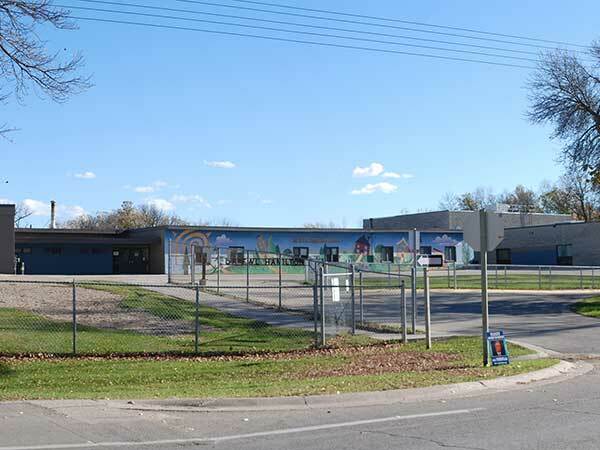 Known as East St. Paul School, or East St. Paul Consolidated School, construction began in May 1951 with the school opening to 125 students in grades 1-9 prior in December of that year. The structure also featured an auditorium, gymnasium, air conditioning, and radiant heating. Speakers at an official opening on 11 January 1952 included Chief Inspector C. K. Rogers, Education Minister W. C. Miller, municipal councillors Steve Kaminski and W. Stasinic, municipal Secretary-Treasurer Miss A. Gorham, ex-Secretary-Treasurer W. Gorham, J. E. Roziere, School Board Secretary-Treasurer O. W. McNeely, school trustees J. Kupchak, Dr. J. L. Anderson, and Board Chairman Walter Peterson. When the adjacent East St. Paul Collegiate opened, senior grades were transferred there. The school was named for local resident and school trustee Frederick Wilson Lewis Hamilton in April 1964. Further capacity was expanded in 1976-1977 on designs by the Winnipeg architectural firm of Macdonald, Cockburn, McLeod, and McFeetors, and was officially unveiled on 10 February 1977. Among the other teachers of East St. Paul School was Dorothy Elizabeth Balderstone Langton (1960s-1972, relief teacher). GR8461, A0233, C131-2, page 137. “East St. Paul vote shows 90% for new school,” Winnipeg Free Press, 9 April 1951, page 3. “Official opening of St. Paul School Friday,” Winnipeg Free Press, 9 January 1952, page 7. “St. Paul School best in Province, Miller declares,” Winnipeg Free Press, 14 January 1952, page 34. “Tender notice,” Winnipeg Free Press, 3 December 1975, page 69. “Official opening,” Winnipeg Free Press, 1 February 1977, page 3. Heritage II, a Story of East St. Paul, by the RM of East St. Paul, 1991. Manitoba school records collection, Central St. Paul School District No. 1545 - Daily Registers, GR8245, Archives of Manitoba. Manitoba school records collection, East St. Paul Consolidated School District No. 2333 - Daily Registers, GR8245, Archives of Manitoba. Manitoba school records collection, Dr. [F. W. L.] Hamilton School - Daily Registers, GR8245, Archives of Manitoba. Henderson Directories, Legislative Library of Manitoba.